Our education program has been compiled with respect to several priorities. It accents co-operation and team activities but puts emphasis also on an individual approach to our pupils. 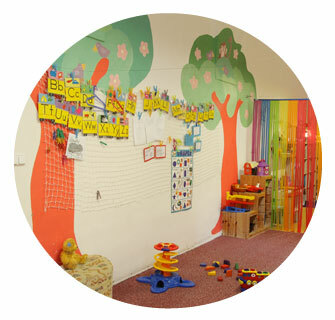 A natural bilingual environment forms an integral part of the school program (teachers speak Czech or English). Our goal is to prepare children for living in a multi-cultural and inclusive environment. We accept pupils of different nationalities as well as pupils with special needs. The program is outlined as a “section” through months and seasons of the year, each of them focusing on selected skills and competences. We watch weather and corresponding nature changes typical for each month and focus on selected interpersonal or relational topics. Children are also introduced to the foundations of various topics such as the human body, natural communities, animals and their bodies, national history and geography, etc.